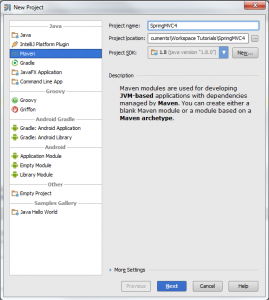 Share the post "Creating Web Application using Maven in IntelliJ"
This tutorial will teach you on creating web application using maven in IntelliJ. 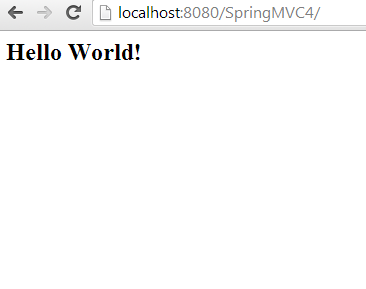 This assumes that you have maven installed in your local machine. 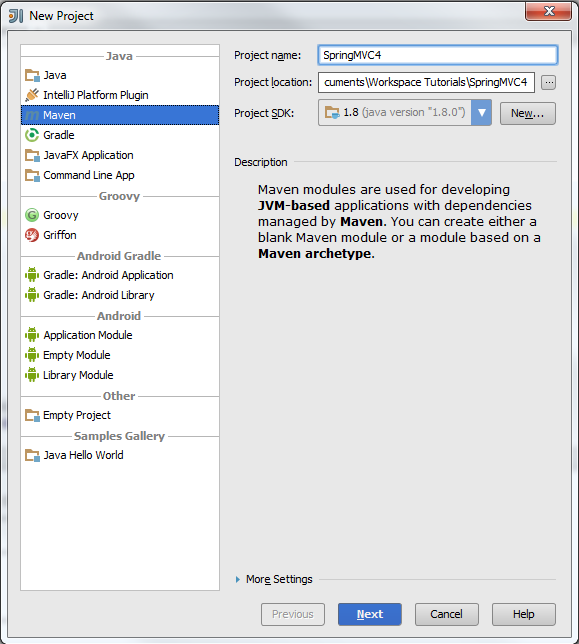 If not, check this tutorial of installing maven on windows. Click Next. 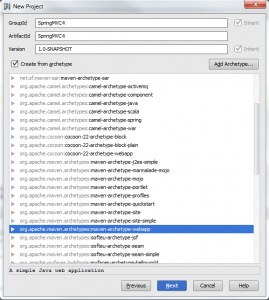 The GroupId and ArtifactId will be filled by default values based on the project name. 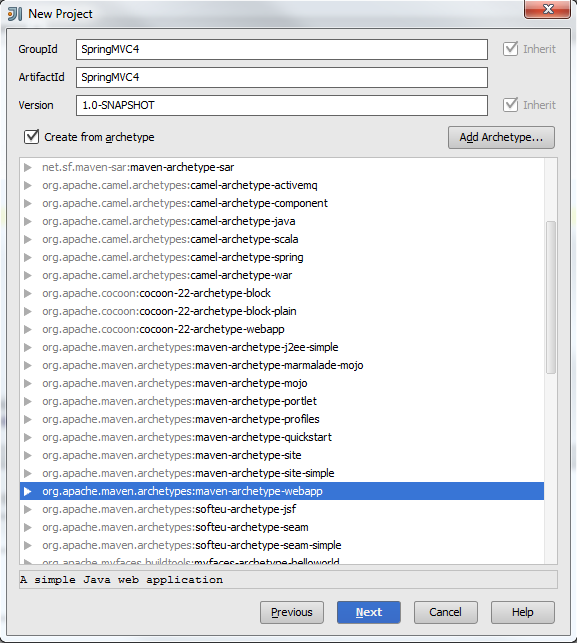 Tick in Create from arechetype, and choose org.apache.maven.archetypes:maven-archetype-webapp. Click Next to continue creating the project. 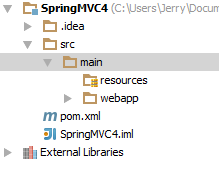 By default, when creating a webapp project in maven, it doesn’t include the java folder for the source code. For the sake of simplicity, we will just add a new folder under the main folder named java. 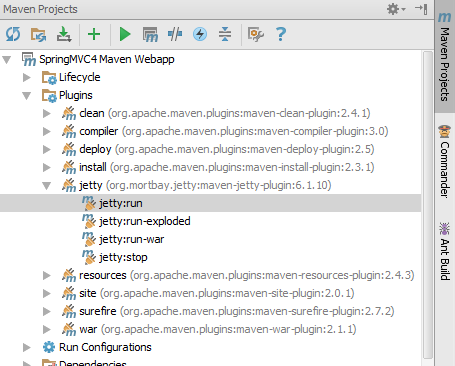 Under build section, add the maven compiler plugin and jetty plugin. Jetty plugin will be the web app container just like tomcat, jboss, glassfish, etc. On the right side, open Maven Projects. In case this tab is not visible, you can open this by click the square located at the lower left corner . 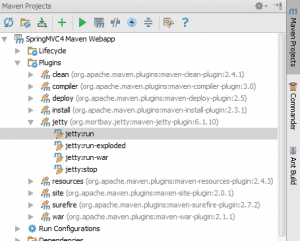 Under Maven Projects, open your webapp project, click plugins and double click jetty:run. 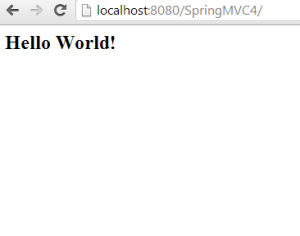 To debug, right click jetty:run and click debug project. This will deploy your project. In the console you can see the status of your deployment. Once you see something like Started [email protected]:8080, you can now browse the web at address localhost:8080/ProjectName and you should see the default jsp page. I’m so glad I found your article!